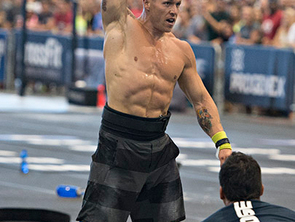 Derived from Plato’s “Allegory of the Cave,” Cave CrossFit encourages its members to “be freed from the shackles of physical oppression and leave our box, our Cave, stronger, faster, and healthier than when they arrived.” Cave CrossFit pushes members to their limits while focusing on technique in ever-changing WODs, weight challenges, cardio classes and personal training. Classes Offered: Intro Class Community Workshop, Elements Training Series, CrossFit Mixed Level, Cave Cardio, Olympic Lifting, Personal Training. Why You Should Check It Out: Whether increasing metabolic conditioning during a Cave Cardio Class, or working on smashing a PR in a CrossFit class, the sense of community comes through in the Cave. Both instructors and members work to get the best out of themselves and their fellow CrossFitters with a focus on “mutual accountability.” Welcoming members and drop-in students alike, attentive instructors spot, correct and monitor overall form and effort during these energetic classes. The program allows students to adjust intensity relative to their ability and growth. If you’re not ready to squat 200 LBS just yet, don’t worry: Cave CrossFit will work to get you from wherever you are to wherever you want to be. 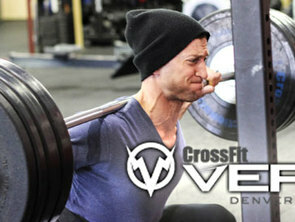 Need even more inspiration to take the plunge into CrossFit? Take a look at just a sampling of the success stories of Cave CrossFit members. Know Before You Go: Those new to Cave CrossFit must first complete a 3-session “Elements” fundamentals program before joining group classes. This form workshop will not only set you up for safe success in your first CrossFit class, but provides a solid introduction to the Cave CrossFit community. Out of town CrossFitters are welcome to drop in classes for a $25 fee. Ready to enter the Cave? Check out the class schedule here.